His eminence discussed latest political situation and government cabinet. Conferees emphasized excluding the federal service council from partisan bias, and stressed the importance of creating specialized workshops that host experts in finance and economy, called to make amendments on public budget serving the supreme Iraqi interest. 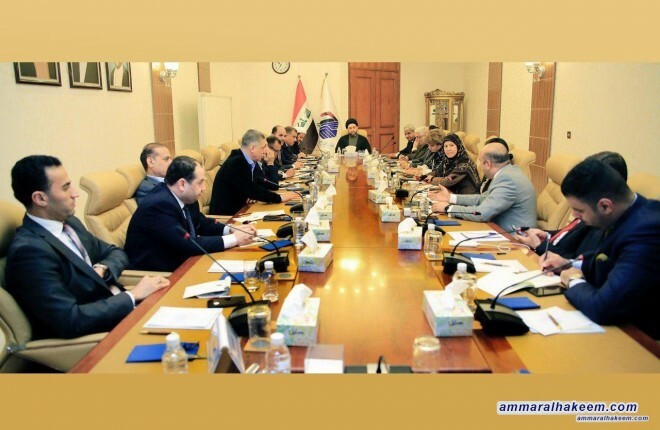 The conferees rejected illegal actions and procedures against members of local Reform bloc in Baghdad, called for a strong and firm response to such practices through constitutional institutions and legal pathways, stressed on excluding the Federal Service Council from partisan rivalries in order to be able to perform its duties.